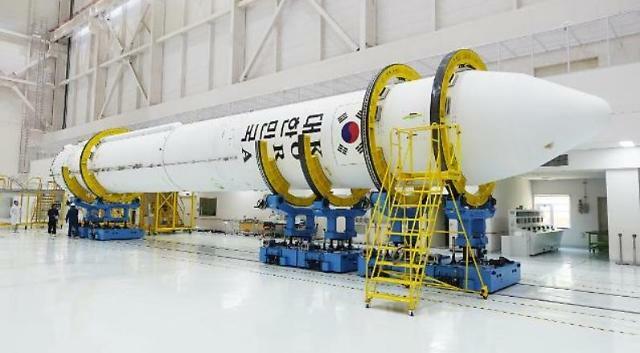 SEOUL -- The test flight of a single-stage rocket with South Korea's first home-made booster engine was put on hold after engineers discovered a technical problem. 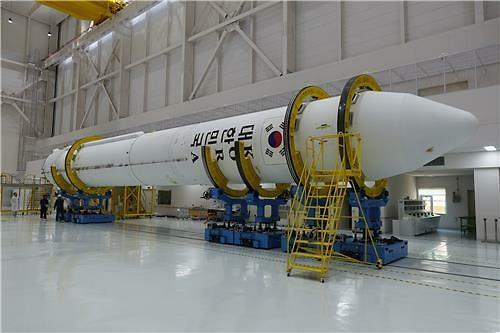 It was to blast off next week at a space center in the southern coastal town of Goheung. Engineers found a pressure drop in the propellant pressurization system while checking the process of supplying fuel, the science ministry said Wednesday, adding a new date would be set later. The propellant pressurization system is a device for injecting fuel and liquid oxygen from the tank. The rocket was moved from the launch pad into the center's assembly station for analysis. The launch is intended to verify the performance of a 75-ton thrust engine which will be used for a three-stage Korea Space Launch Vehicle-2 (KSLV-2) rocket in 2021. 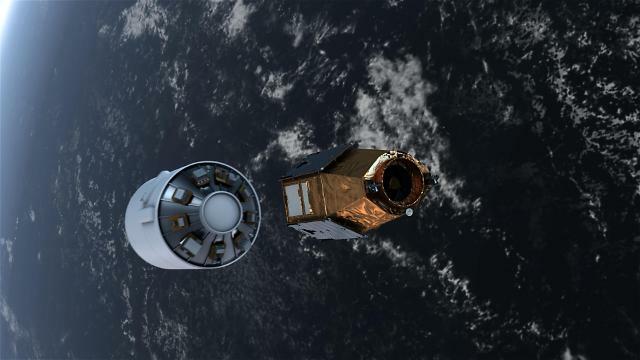 Three space rockets have been launched but two fired in 2009 and 2010 failed to reach orbit. The third one using Russian technology put a satellite into orbit. 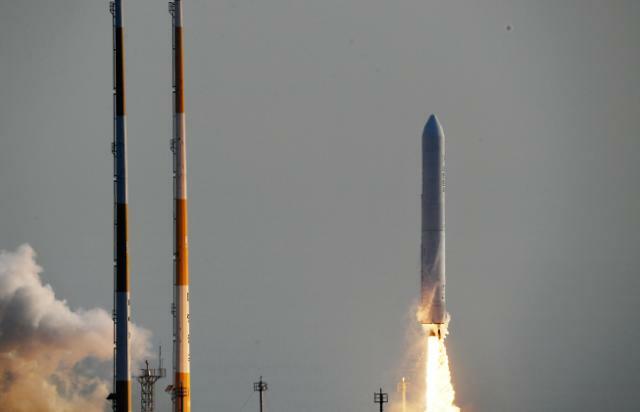 There has been slow progress in the country's space program as other countries are reluctant to transfer core technologies. Under a new roadmap, South Korea plans to send an unmanned orbital probe to the Moon by 2020 and land an unmanned lunar probe to the surface of the Moon by 2030.